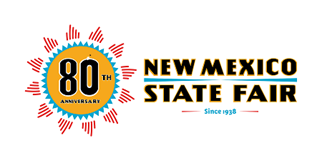 ALBUQUERQUE – New Mexico State Fair officials unveiled its annual beer today at a special event hosted by Marble Brewery and the New Mexico State Fair. Craft beer has become an annual tradition in recent years. In celebration of the New Mexico State Fair’s 80thanniversary, the state fair once again called upon the talented tastemakers at Marble Brewery. The team of brewers have created a brew that will pair well with your favorite State Fair food options. The latest rendition of the New Mexico State Fair Beer is a hazy pale ale with an iconic bandana can design that we have come to call the "candana". New Mexico State Fair Pale Ale is available at retailers statewide.